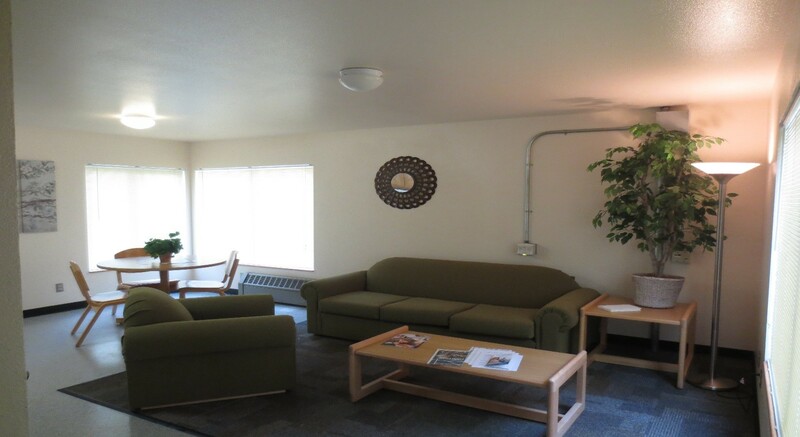 We maintain a one-bedroom apartment for people visiting campus on college business. The sponsoring department is billed at a rate of $75 for one night and $65 per night for two or more nights. If your guest will need to live on campus for an extended period of time, please contact us for a cost estimate. Plus other special touches to make your guest feel at home. 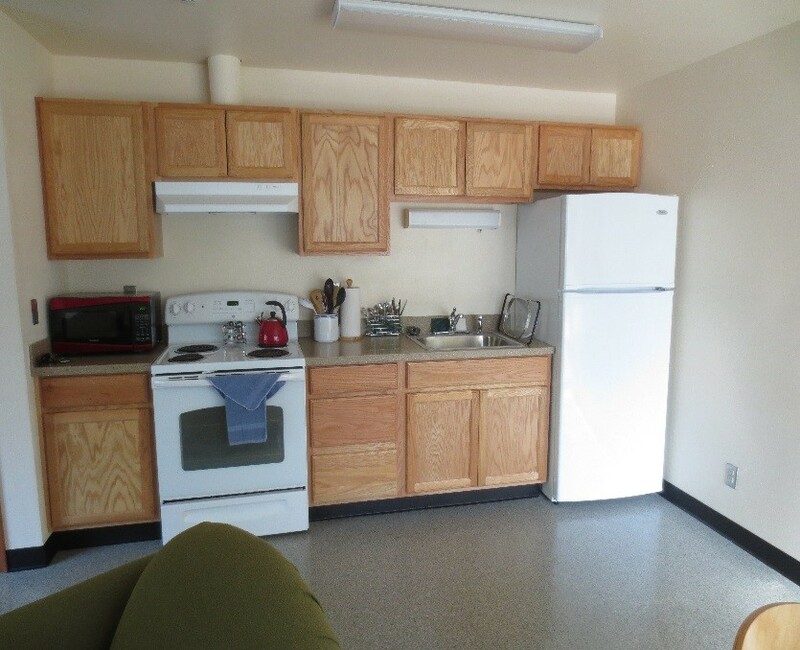 The use of this guest apartment is for individuals that visit campus on college business. 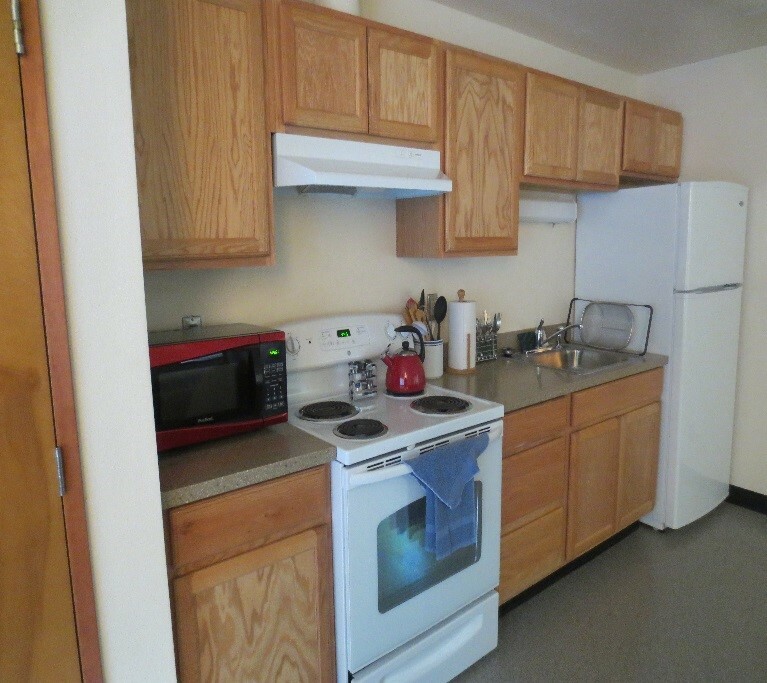 The apartment can also be used for a residential student’s family members if there is a student emergency. Contact should be made at least 48 hours in advance for a reservation (Rental subject to availability). Guests should plan on arriving on Monday through Friday by 5 pm to pick up keys. After hours, check-in can be arranged with prior communication. All rooms must be vacated with the keys returned to our front office by noon on the date of departure, unless other arrangements have been made. Guest room keys are expected to be returned to the Residential and Dining Services (RAD) front office. Lost keys will result in the sponsoring department being billed $75.00 for each key. Guests must adhere to college policies when staying on campus (Find RAD policies at our policy page). All rooms are non-smoking, and smoking is allowed only in designated outdoor locations. No pets are allowed to accompany guests during their stay. A maximum of two adults and one child are permitted in the apartment. Department org numbers will be used to bill the sponsoring department. In the case of a student family stay, the student will be billed for the rental of the apartment. The on-campus sponsoring department shall be held responsible for the actions of their guest, payment for room rental and any damages to the room, furniture or facility, as well as any charges if keys to the room are not returned. The Evergreen State College is not responsible for any loss, injury, theft or damage that might occur. Note: Residential and Dining Services reserves the right to adjust the length of stay according to availability. 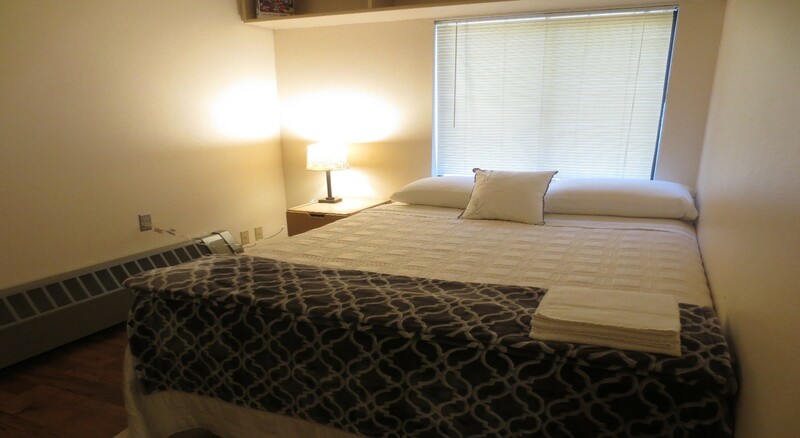 Our Hemlock Guest Room is available now for you to schedule. Please fill out the Reserve the Guest Room form. 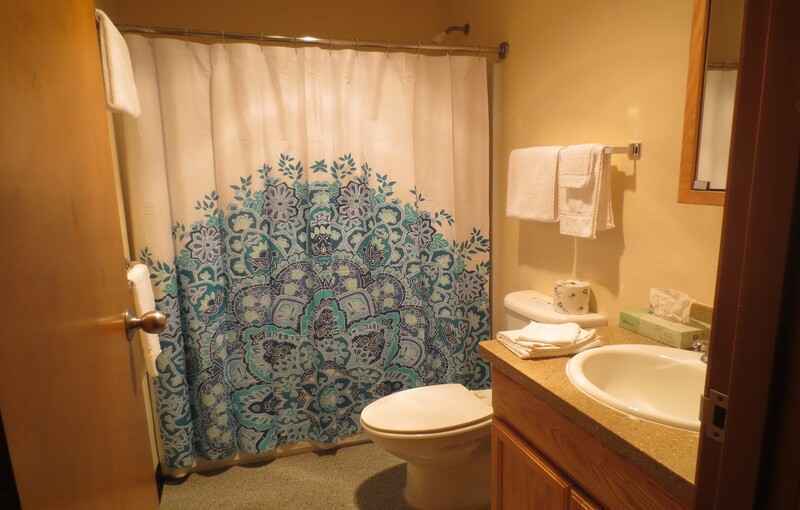 Need to leave something special in the apartment for a guest? After you have reserved the apartment we will be happy to help you make those arrangements. Also, working with our partners in dining services, we can assist you in providing food vouchers or food in the apartment.